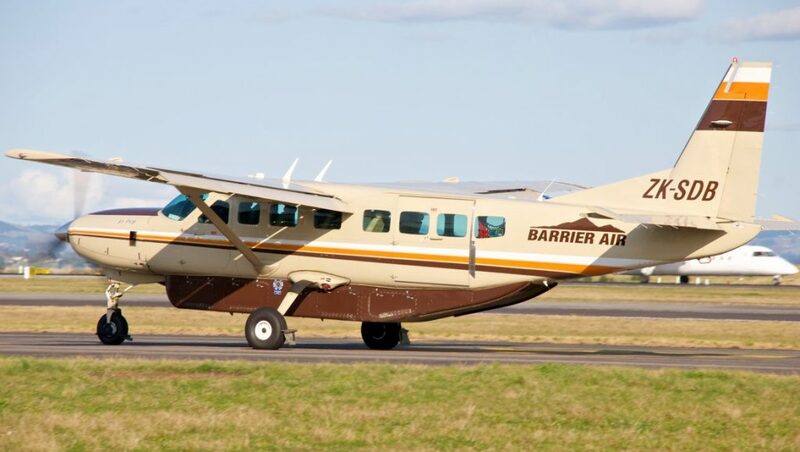 This feature article first appeared in the August 2018 edition of Australian Aviation. 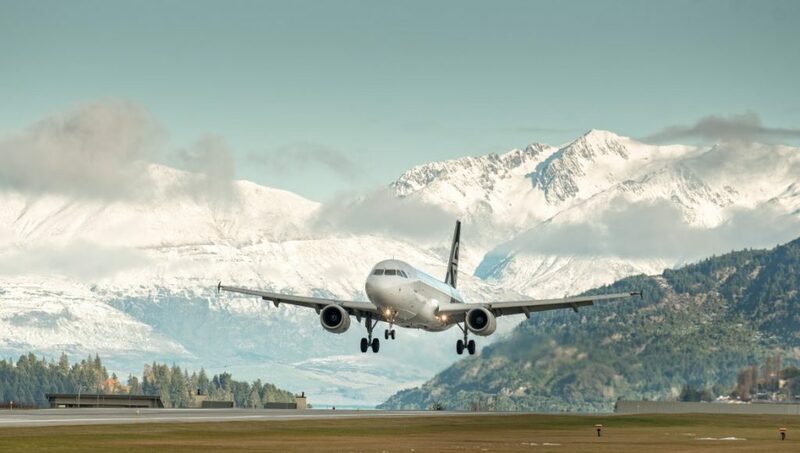 New Zealand’s Civil Aviation Authority (CAA) is four years into the decade-long implementation of the New Zealand National Airspace and Air Navigation Plan. Termed New Southern Sky (NSS), the plan maps out the transition to new technologies and managing the changes to airspace that will be driven by increased traffic and technological advances. New Southern Sky is both New Zealand’s response to the International Civil Aviation Organization’s Global Air Navigation Plan and an important element of New Zealand’s National Airspace Policy, which is a ministerial statement that describes the overarching principles and desired attributes in the development and modernisation of the country’s airspace and air navigation system. As such New Southern Sky details four principles for the administration of New Zealand’s airspace: safety being the principle objective; compatibility with international standards and best practices; protection of national interest in determining access to airspace; and accessibility to categories of airspace when the aircraft and crew are able to operate safely within. 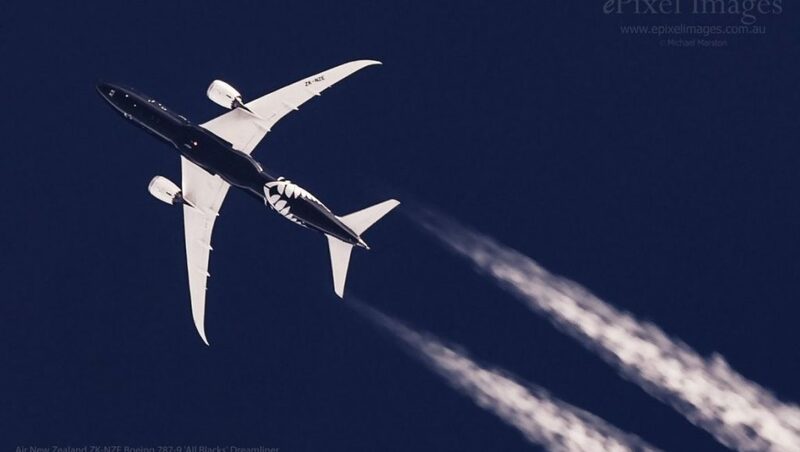 “Prior to NSS New Zealand’s aviation system had simply evolved. New Southern Sky has provided the opportunity to redesign and refresh infrastructure to coordinate a range of initiatives within one collaborative program,” explains Steve Smyth, CAA’s director of New Southern Sky. The policy identifies eight groupings of initiatives. Of these, the most significant impact is likely to be the adoption of performance-based navigation (PBN), replacing existing radar with ADS-B and the redesign of airspace. Other areas are the incremental improvements to communications; improved integration and digitisation in aeronautical information management; increasing capacity at aerodromes; integrating weather data; and changing the focus of air traffic management from tactical controlling to more strategic enabling. The plan is now nearing the completion of Stage 2, where the priorities include the implementation of a new surveillance system including ADS-B, performance-based navigation and a new air traffic management (ATM) system, which includes the future technology safety assurance project. The entire program is scheduled for completion by the end of 2023. “New Southern Sky involves a large number of infrastructure projects being implemented by a small number of stakeholders,” Smyth says. “These projects are matched with scheduled regulatory instruments that will enable them to be turned into proper capabilities. The processes that have been implemented to support NSS ensure that these projects will be integrated with others across all areas. It places a high priority on involving users in explaining proposed changes, addressing their concerns and paying particular attention to how proposed changes will be implemented. A key component of the program is the involvement of the NSS working group. Comprised of major airlines, Defence, Airways New Zealand and some government departments along with industry associations such as Aviation New Zealand and the Aircraft Owners and Pilots Association (AOPA), the NSS working group provides guidance for the strategic decisions taken by the New Southern Sky program. 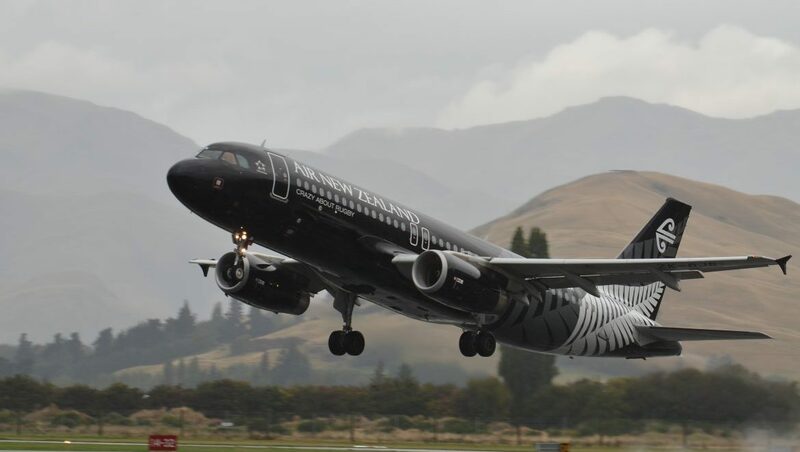 It also ensures that all elements of the New Zealand aviation community are represented. CAA has the lead for NSS with support of the Ministry of Transport and Airways. Decisions taken by the New Southern Sky program use evidence-based criteria, linked to program-wide benefits framework, Smyth says. Stage 2 of the program sees key decisions taken about New Zealand’s future surveillance, navigation and ATM capability. Airways says that its existing network of primary and secondary radars will need to be replaced by the end of 2021. These will be replaced by a network of ADS-B receivers and integrated with an existing wide-area multilateration system. This new network will provide 45 per cent additional surveillance coverage of New Zealand. A secondary radar-based backup surveillance network will provide coverage across the main trunk air-routes linking Auckland, Wellington and Christchurch and some form of non-cooperative surveillance will be provided around Auckland, Wellington and Christchurch airports. 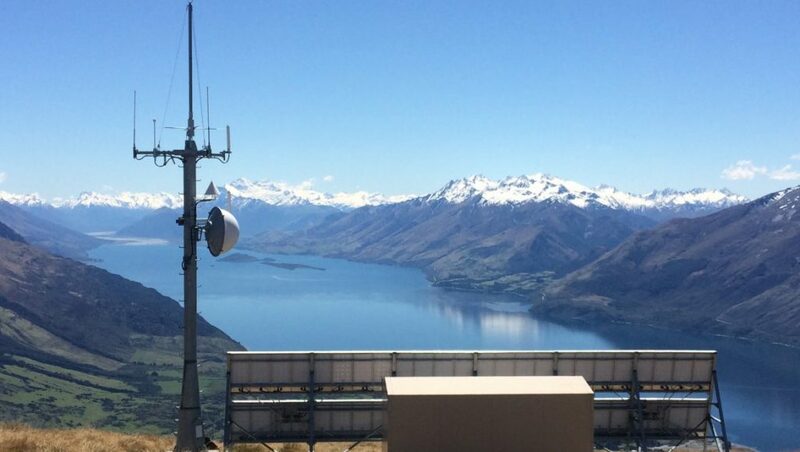 Queenstown Airport, although becoming increasingly important, will not have a secondary radar‑based backup system because traditional radar systems do not operate effectively at low levels in the area. Contingency surveillance coverage around Queenstown airport will be reliant on multilateration due to mountainous terrain. A ministerial rule is expected to be issued mid-year to require ADS-B equipage for operations above FL245 from December 31 2018, and ADS-B is planned to be mandatory within all controlled airspace from December 31 2021. Although the proposed mandates apply to ADS-B Out, users are being encouraged to install ADS-B In capability to enable improved situational awareness. Especially useful in mountainous terrain like around Queenstown, ADS-B In will help pilots be aware of other aircraft operating in this area. Significant fitment of the aircraft operating at low levels needs to take place before the final mandate. “At present, however, our estimates are that only five per cent of aircraft that operate below FL245 are ADS-B equipped, so we have a lot of work to do,” says Smyth. The introduction of ADS-B, requiring aircraft avionics equipage, will restrict access to controlled airspace to those aircraft that have ADS-B fitted. But new methods of navigation and air traffic management procedures are likely to result in smaller controlled airspace around airports. New Zealand’s future navigation system will use performance-based navigation (PBN) based on GNSS as the primary method for IFR flights. While a mature PBN system will be in place by 2023 considerable work still needs to be undertaken in the development of procedures. “At present the PBN procedures are somewhat disconnected from one another. We need to undertake work to ensure these various procedures are linked together, from one end of the country to the other,” Smyth notes. An overhaul of the PBN regulatory framework has recently commenced to provide new GNSS rules. The existing rule framework places different requirements on user groups that need to be updated with the advent of new GPS technologies. This PBN rule overhaul will extend until 2023. In order to migrate to a GNSS system concerns about satellite performance and availability prediction need to be allayed. But these are being mitigated in New Zealand by continuing to provide a reduced number of ground-based navigation aids until the performance of GNSS can be assured, potentially by the provision of a multi-constellation capability for aviation. To provide service resilience in the event of failure in the GPS system a minimum operating network (MON) has been defined. The MON will provide traditional navigation aids at key strategic points in the New Zealand aviation network. “There are currently 17 controlled aerodromes in New Zealand. The recommendation to Airways is that each of these locations should have a VOR/DME system,” Smyth explains. “These systems will also be provided at Hokitika and Kaitaia where they provide navigation backup for aircraft to the west and north of New Zealand. The Chatham Islands is also being considered. Airways has been rolling out PBN procedures at controlled aerodromes for a number of years, with rollout to be completed by the end of 2019. But the introduction of PBN procedures at non-controlled aerodromes presents a number of challenges. At controlled aerodromes air navigation charges meet the cost of developing new procedures. The question of who meets the cost of providing infrastructure and procedure development at non-controlled aerodromes needed for emergency or other contingency purposes has not been determined. Further, the airports that will have GNSS procedures has not been finalised. The Airports Association is leading an evaluation about PBN at uncontrolled aerodromes and how this technology should be introduced. As with ADS-B fitment, there are concerns about the impact on the general aviation community where the costs of equipping aircraft with GNSS navigation systems have to be balanced against the operational benefits. Implementation difficulties may arise from the low number of avionics engineers who are proficient in installing this new technology. The need to approve aircraft systems, operator procedures and help to support training requirements is expected to demand significant resources from CAA. The type of airspace that works best at an airport depends on the traffic and environmental circumstances at each airport. Various, sometimes competing, interests of airspace users need to be understood and reflected in this design. New Zealand airspace needs to be redesigned to meet the needs of increased traffic, new PBN‑enabled flightpaths and aircraft with greater sophistication. This could mean that some areas increase in size, while other controlled airspace could reduce. A study is planned to take place for later in 2018 that will review triggers and methodologies for airspace reviews. The third priority for Stage 2 is the introduction of new ATM technologies. Airways has recently signed a contract with Leidos to upgrade its air traffic control system, termed Skyline-X. This new system will enable Airways to undertake its own software development and product evolution in-house. It is also looking to implement ‘digital tower’ technologies at a number of its controlled airports, starting with a trial planned for Invercargill. These new ATM technologies place new demands on CAA and its staff capabilities to assure the safety foundation. It requires that regulatory functions keep pace with the technology changes that are occurring. The introduction of cloud-based technologies, provided by third-party organisations, for example, present new risk management challenges compared to traditional ATM technologies that were owned and operated by the air navigation service provider (ANSP). To address this challenge CAA’s aeronautical services unit (ASU) has been tasked to implement the future technology safety assurance program (FTSA). “FTSA will provide safety assurance for new ATM technologies,” Smyth explains. “We have developed systems safety criteria for a number of areas in New Southern Sky, including surveillance and ATM. It involves defining the criteria that need to be in place to have a safe system. This framework allows Airways and CAA to go hand‑in‑hand with the introduction of new ATM technology, while enabling the regulator to come up to speed with new technology. “At the moment we are in the early stages of putting together the FTSA program. We need to understand what sits behind cloud and digital tower technologies and the underlying safety assurance. The manner in which data is captured and displayed needs to be understood. The need to provide safety assurance for systems that rely on new technologies means that new knowledge capabilities need to be held by CAA. It has resulted in CAA hiring staff with more diverse skill-sets and backgrounds, sometimes from outside aviation, with experience in these new technologies. Since NSS has been underway, early economic benefit projections have been modified with the use of data captured from the Airways ATC system. Greatest benefits will be derived from improved safety by the implementation of PBN procedures where 2.2 million more passengers annually are now protected by approach paths with vertical guidance. Environmentally, less fuel burn means that annually 4.8 million fewer kilograms of CO2 will be released into the atmosphere. This analysis estimates that the various improvement projects will realise NZ$128 million per annum in direct benefits, through savings in fuel usage and direct operating costs.